Feature is various kinds of collection of charms in Setoiuchi area. 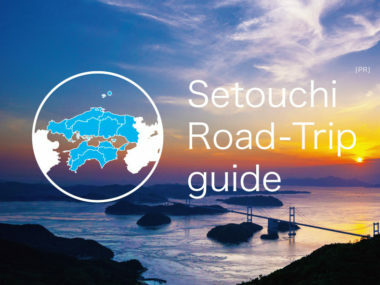 What is Setouchi? We provide (summarized) special features on a variety of specific topics. 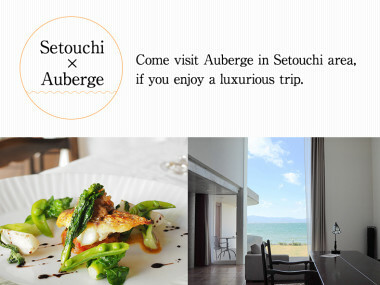 If you're interested in having a luxurious experience, come visit Setouchi's Auberge. It may not be fancy, but it is awesome! Class B food! 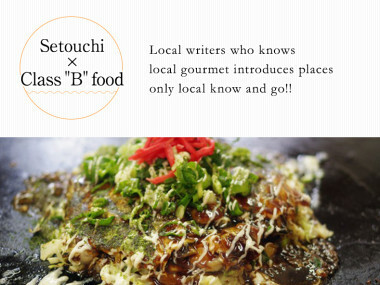 Local writers familiar with local gourmet introduce eateries known only to locals!! 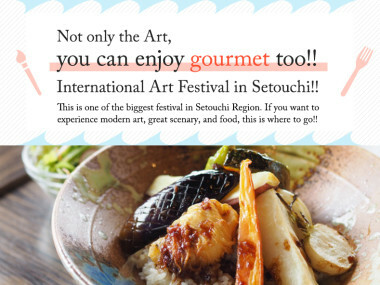 One of the biggest festivals in the Setouchi Region, if you want to experience modern art, great scenery, and wonderful food, this is the place to go!! 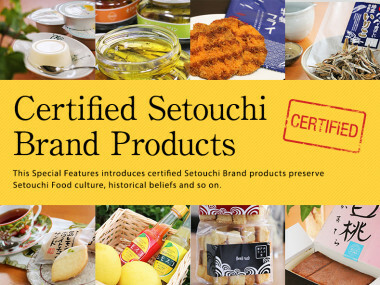 To help preserve the food culture of Setouchi and local historical beliefs, etc., this Special Feature introduces certified Setouchi Brand products. Remember what your mom cooked when you were a kid? Maybe it didn't always look fabulous, but it was great, right? 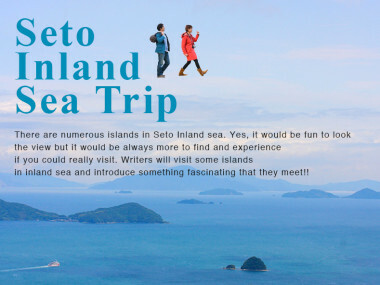 Here, we introduce must-eat Setouchi foods presented in a similar way! Where there's food, there's culture! 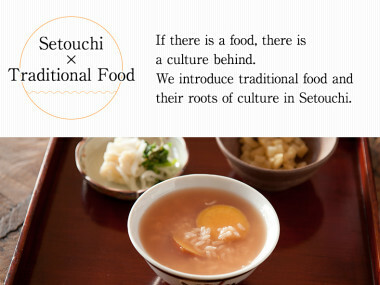 Here, we introduce traditional foods and their roots in the culture of Setouchi. 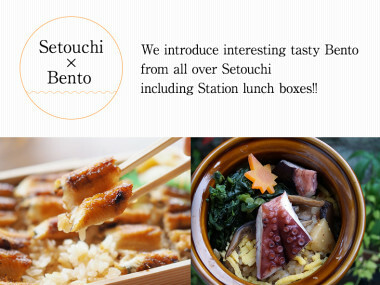 We introduce interesting, tasty Bentos from all over Setouchi including Station Lunch-boxes!! Here, we interview local star chefs and ask them about their creative passion. 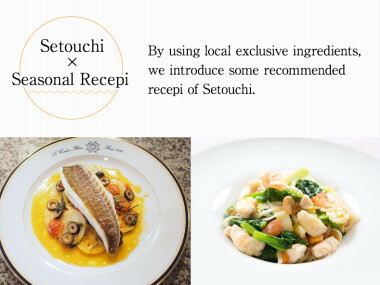 Exclusively using local ingredients, we introduce some recommended recipes of the Setouchi area. Can’t Ignore, Can’t Stop!! Sweets…! Even our photo-writers are amazed!! 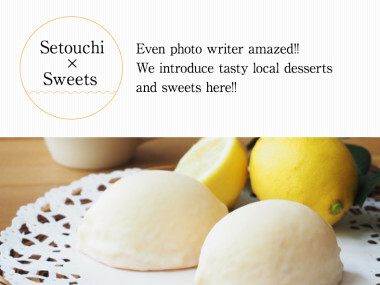 Here, we introduce tasty local desserts and sweets!! Didn’t you know!? Setouchi Fruit is amazing!! The pleasant climate of the Setouchi area leads to the production of a variety of delicious fruits, not just 'mikan' oranges and lemons!! 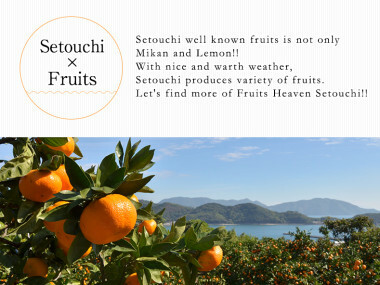 Discover more fruits in the heaven that is Setouchi!! 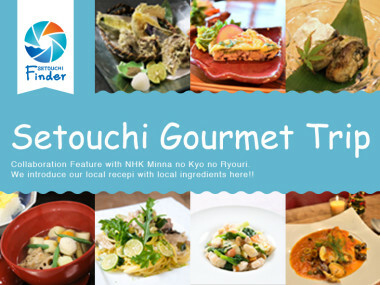 In this collaboration Feature with NHK's "Minna no Kyo no Ryouri" we introduce local ingredients and recipes! 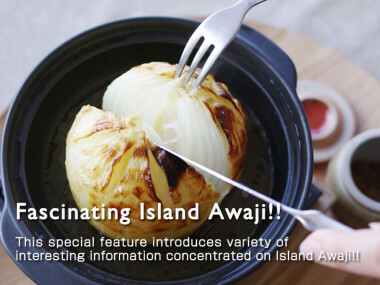 This special feature introduces a variety of interesting information on Awaji Island! Our photo-writers visit some of the numerous islands in the Seto Inland Sea and introduce the fascinating aspects of what they find. It’s fun to look at photos, but it’s always more interesting to find and experience such things in person! 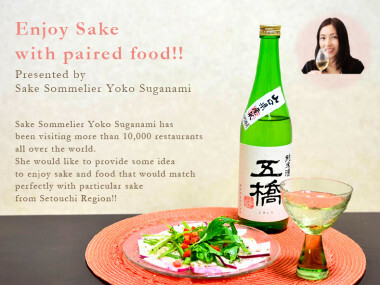 Sake Sommelier Yoko Suganami has visited more than 10,000 restaurants all over the world. 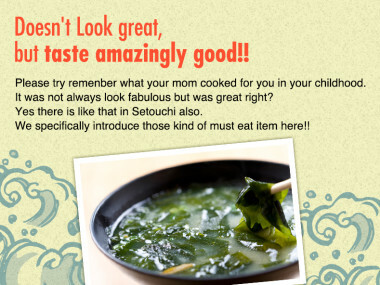 She provides ideas on dishes that work perfectly with particular Sakes especially those from the Setouchi Region! !